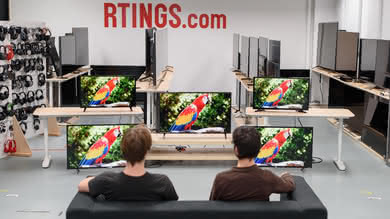 PC monitors (see our monitor reviews) and TVs are close relatives. 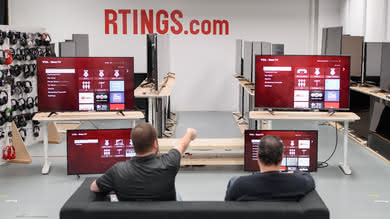 Usually, they differ in design and image processing capabilities and connectivity. 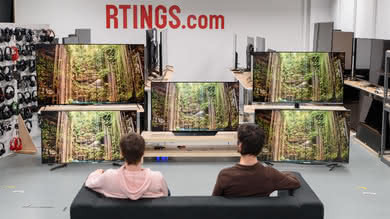 TVs usually have more advanced image processing capabilities than monitors and come equipped with TV tuners and integrated speakers, whereas monitors usually have DisplayPort connections that TVs still lack. 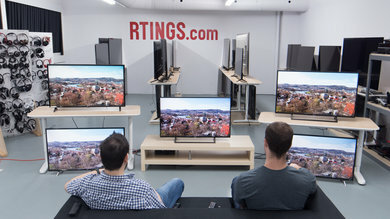 Most TVs offer a PC Mode option, which removes the extra image processing and ensures the lowest possible input lag. 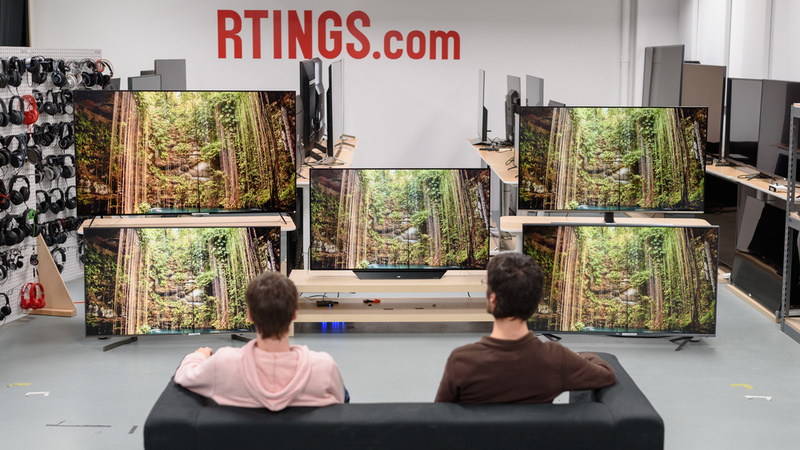 The most important things to take into consideration when choosing a TV for PC monitor usage are the TV's supported resolutions, the ability to display chroma 4:4:4, and the viewing angles that can cause uniformity issues when sitting close to the screen. 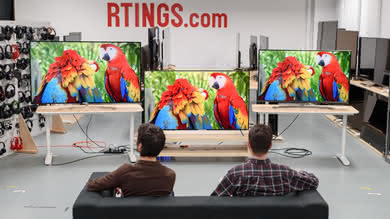 Most manufacturers have started releasing replacements for their TV lines since the beginning of the year. 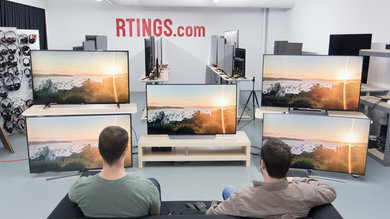 Usually, these TVs tend to launch at very high prices and it is unlikely that these newer models will become reasonable choices until the latter half of the year, thus keeping the 2018 models in our recommendations for a few more months. 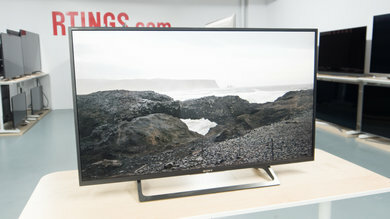 The Sony KD43X720E is the best TV for use as a PC monitor in the 40-43 inch size. 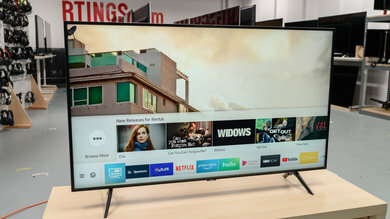 Unlike the similarly priced Samsung UN40NU7100, the Sony KD43X720E has an IPS panel and the picture quality remains accurate for wider viewing angles. 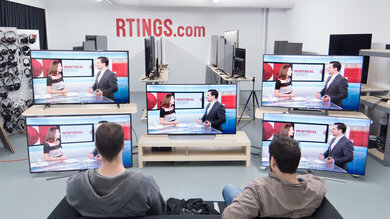 This means that if you are seated close to the TV, the sides will look more uniform. It supports 4:4:4 chroma so text will look crisp, and it can properly display the most common resolutions. 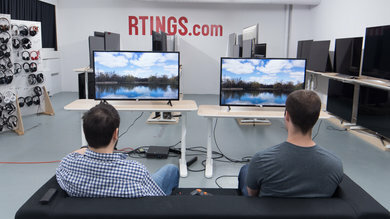 The X720E has a low input lag and it is very responsive to your actions, which is very important if you plan to use it as a PC monitor. 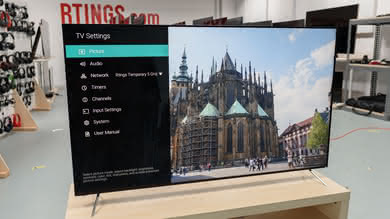 However, due to the IPS panel, the contrast ratio is low and this prevents the TV from displaying deep blacks in a dark room, leading to a picture quality which is only decent. 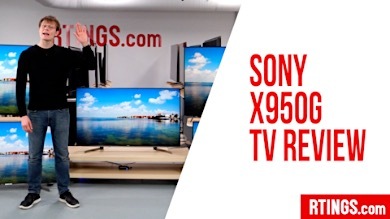 Overall, this 43 inch Sony X720E is a great TV monitor. 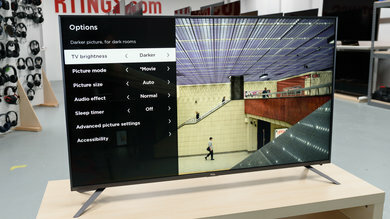 If you find the size of the Sony KD43X720E limiting, then check out the Samsung QN55Q8FN. 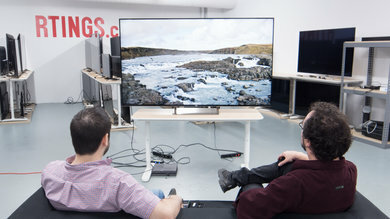 It is much larger than the 43'' Sony, and you should expect some uniformity issues at the edges when you sit close, due to the poor viewing angles of the VA panel the Q8FN has. 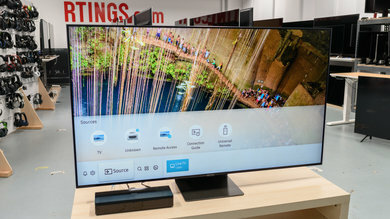 The Samsung Q8FN is an impressive TV that responds immediately to your actions due to the low input lag. 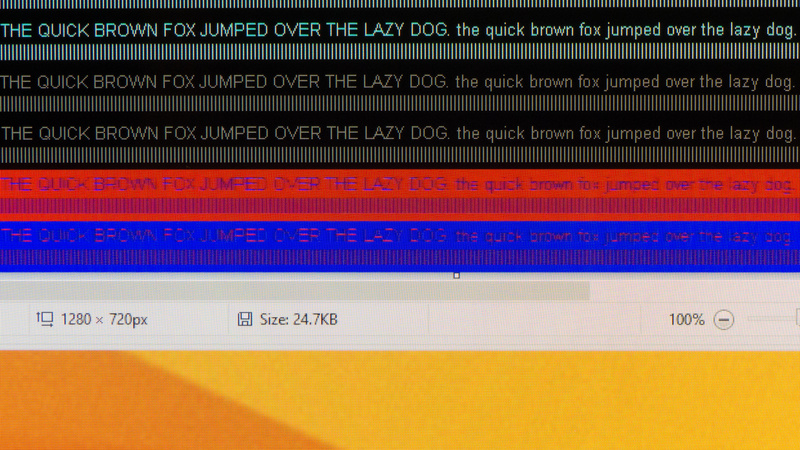 It can display proper chroma 4:4:4, so text is crisp and has a fast response time. 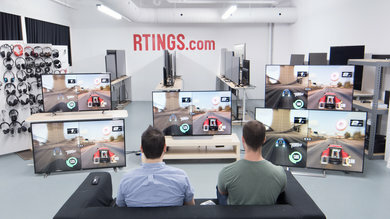 This leaves only a small blur behind fast-moving objects. 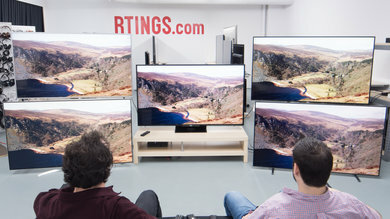 It has a wide color gamut, can get very bright, and display deep blacks in a dark room due to its high native contrast ratio and local dimming support. 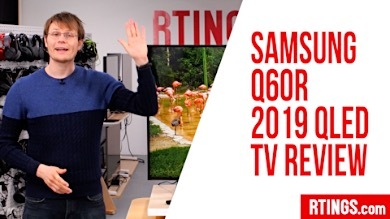 The Q8FN can also serve well as the monitor for a gaming PC, as it supports FreeSync and has low input lag with motion interpolation for those older low frame rate games. 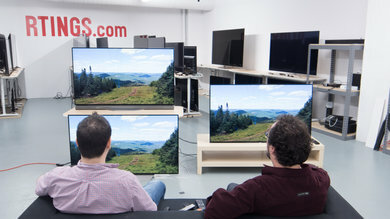 The Samsung QN55Q8FN is a great TV overall, which you can conveniently use as a PC monitor. 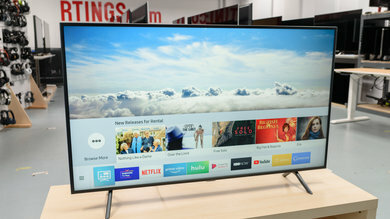 If you are looking for the best TV for use as PC Monitor and don't care if it is hard to find, get the Vizio P Series Quantum. 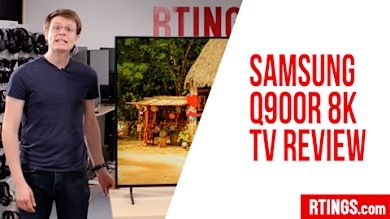 It is a better recommendation than the Samsung Q8FN, but it is unpredictable if you can find it in stock online. 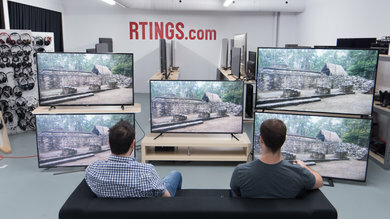 The PQ65-F1 lacks the FreeSync Variable Refresh Rate option found on the Q8FN, but it is an excellent TV for use as a PC monitor with great picture quality and deep blacks for dark rooms. It can get very bright, so you can use it in a bright room without any issues. 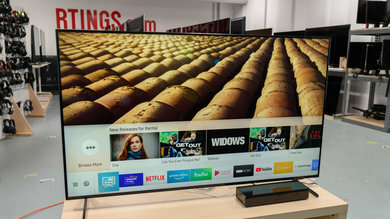 When used as a PC monitor, it reacts immediately to your actions due to the low input lag, and the very fast response time leaves almost no blur trail in fast motion. Finally, it accepts most common input resolutions and can display clear and crisp text, as it supports 4:4:4 chroma. 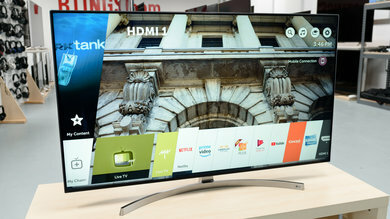 If you are bothered by the narrow viewing angles of the Samsung QN55Q8FN, then check out the LG SK9000. 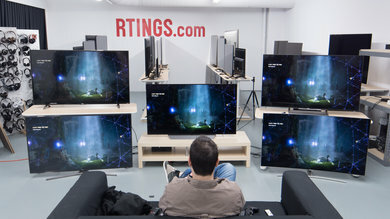 You will not get the deep blacks of the Samsung, nor will you have FreeSync support for tear-free gaming. 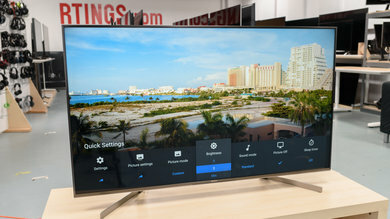 Nevertheless, the LG SK9000 is a TV with a very low input lag that reacts instantaneously to your actions, supports chroma 4:4:4, and can display crisp text, which is great if you use it as a PC monitor. It has wide viewing angles thanks to the IPS panel, and thus you will not experience uniformity issues at the edges when you sit up close. 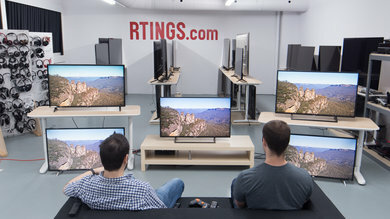 Overall, it is a great TV that also serves well as a PC monitor. 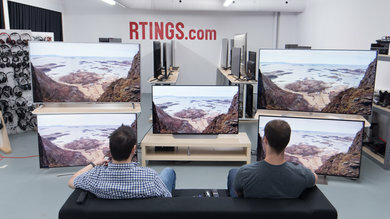 If you find the Samsung Q8FN expensive, the best budget TV to use as PC monitor is the TCL 55R617. 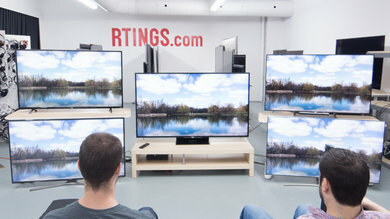 The 6 Series does not have the great local dimming, the excellent reflection handling, or the good gray uniformity found on the Q8FN. 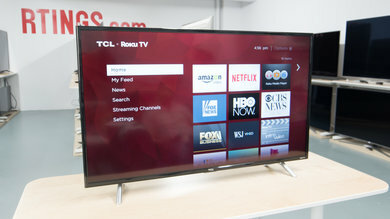 On the upside, the TCL R617 is a very good TV with deep blacks that result in very good picture quality. 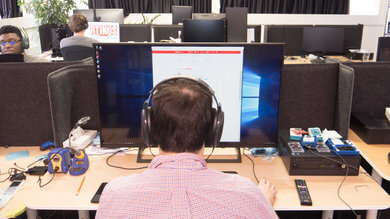 When used as a PC monitor, it has an impressive performance. It accepts most common resolutions, including 4:4:4 chroma, so text is clear and crisp. 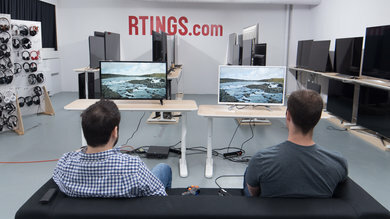 It has very low input lag and is very responsive. 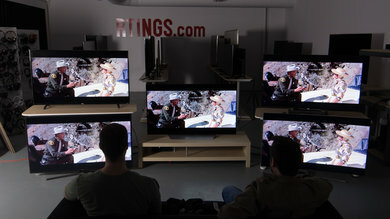 The TV has excellent brightness and thus can be placed in a bright room. 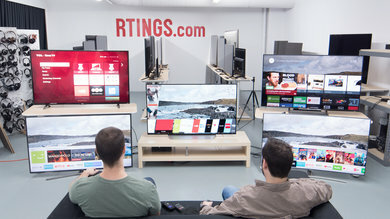 Overall, the TCL 6 Series is a very good TV for many different usages and it is a good choice for someone who wants to use it as a PC monitor. 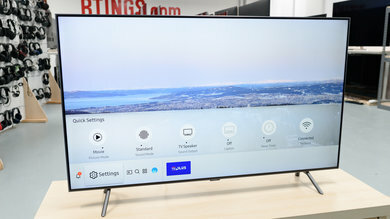 If you find the TCL R617 expensive, get the TCL S Series S405/S425 (if you can't find it, get the similar but slightly more expensive TCL S517). 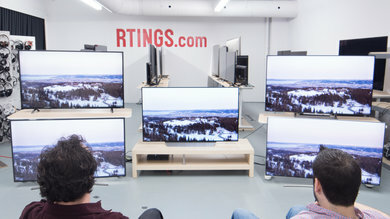 It is a worse TV than the TCL 6 Series; it cannot get as bright, nor is it equipped with more advanced features. 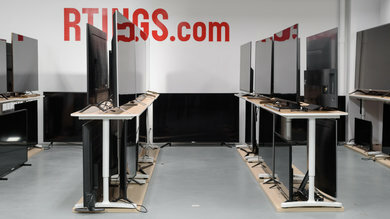 It is, however, a very good TV for use as a PC monitor, with excellent low input lag that feels very responsive. It will accept most common resolutions, and text is clear and crisp as it can properly display chroma 4:4:4. Every pixel in a screen is sent a brightness value, which tells it how bright or dark it should be. There is also a color value that is sent, which tells the pixel which color to be. A common method of compressing a file is to make groups of pixels share color, or chroma, data. 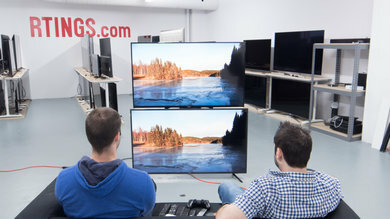 This reduces the size of a file significantly, and with most video, the difference in quality is minimal. 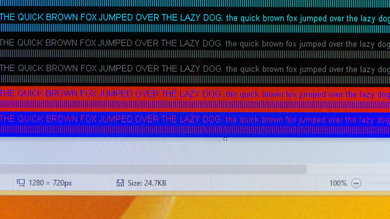 This type of compression, though, doesn’t look great on a computer monitor. In particular, the lack of specificity that you get by making pixels share chroma values leads to blurry text. 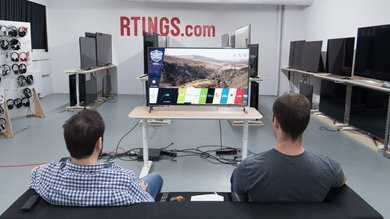 That’s why, especially for productivity purposes, it’s desirable to have a TV capable of chroma 4:4:4, which is uncompressed. Above, you can see images illustrating three levels of compression. You can see that from 4:4:4 (uncompressed) to 4:2:2 (compressed a bit), there is a bit of a loss of specificity in the lower text - it's not quite as sharp as with 4:4:4. It’s an even more noticeable drop in quality when you’re looking at 4:2:0 (the typical level of compression). Again, this is only really important for text. 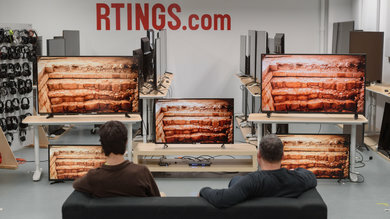 It’s very hard to spot this compression with normal footage. 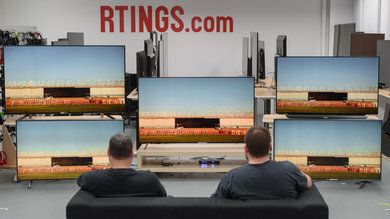 Our recommendations above are what we think are currently the best TVs to use as a PC monitor for most people in each price range. 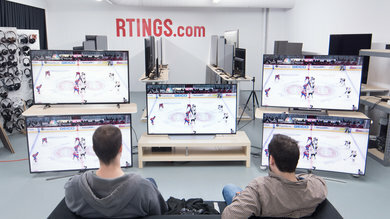 We factor in the price (a cheaper TV wins over a pricier one if the difference isn't worth it), feedback from our visitors, and availability (no TVs that are difficult to find or almost out of stock everywhere). 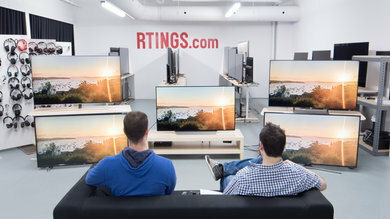 If you would like to do the work of choosing yourself, here is the list of all our reviews of TVs. Be careful not to get too caught up in the details. 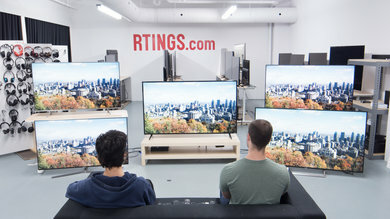 While no TV is perfect, most TVs are great enough to please almost everyone, and the differences are often not noticeable unless you really look for them.